We were thrilled when Los Angeles recognized the State of Emergency of Skid Row and prioritized the issue of homelessness. It is absolutely an epidemic right now. The time is past due to allocate resources to the problem. Unfortunately, the money just hasn’t shown up. I know it makes us feel great that we’re talking about a plan, or proposing a budget, but that doesn’t help the people dying on the street tonight. This emergency was declared six months ago and we’re still talking about what we’re going to do next year or over the next five years. We’ve gone from 44,000 people experiencing homelessness to 47,000 people, an increase of almost 6%. Of that 3,000 more people, 40% are single women. Now, more than ever, we need to find a place to shelter these vulnerable people, yet more and more shelters are closing their doors. We lost over 2,000 shelter and transitional beds county-wide. Since last year, the numbers on the streets have increased and over 40% of that growth is single women. We are going backwards. At Union Rescue Mission, women and children outnumber men for the first time ever and we’re sheltering over 1,000 people each night. Since 2013, there has been a 55% increase in women experiencing homelessness in Los Angeles. 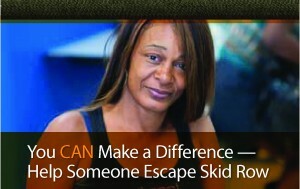 We need more options now so women are not stuck on mean streets of Skid Row or anywhere in our city. My heart won’t rest as long as women and children are on the streets. We, Union Rescue Mission, will not rest as long as women and children are on the streets. With your help, while others talk we will continue to step up. 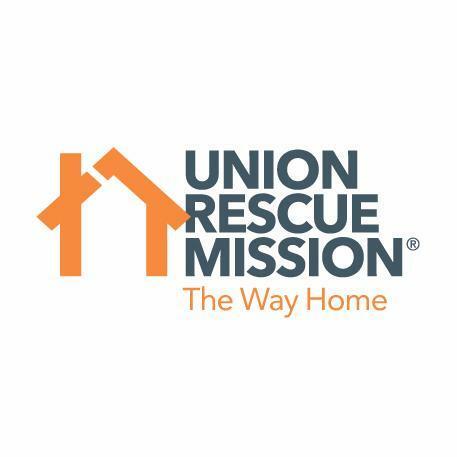 Please consider giving a gift during our Matching Gift Challenge and make an impact on the lives of those experiencing homelessness that have come to Union Rescue Mission. Any gift you give will be matched 100% by our anonymous donors. This entry was posted in Rev Andy's Blog and tagged Downtown, Downtown LA, downtown Los Angeles, homelessness, LAHSA, Los Angeles, Skid Row, union rescue mission, URM, women and children. Bookmark the permalink. Someone from our volunteer department should be reaching out to you soon. The VACANT SALVATION ARMY BUILDING WILL HOUSE AND PROVIDE JOBS FOR THE HOMELESS WOMEN AND CHILDREN. ….SIMPLY TAKE ACTION PRIORITIZE WHAT MATTERS. I would like to volunteer my time , on Monday or Thursday. Please let me know if theirs anything available. I have lived in Downtown LA for 10 years and I’ve noticed an uptick in homelessness. I walk everyday to work and to home and I am confronted in a very visceral way by all forms of homeless people-sleeping, panhandling, screaming/making a scene, and a very few who try to engage in an aggressive manner. I’ve read your advice on providing them with resources and a handout as a last resort. What are their resources? Where to sleep? Eat? Get medical attention? My little girl growing up in the city also wants to know if we should give them snacks and our money. We are also Christians. But just me and my little girl I’m too scared to approach many of them. Please advise.